Dr Boon Lim presenting at the Heart Rhythm Congress Oct 2018 at the International Convention Center in Birmingham. 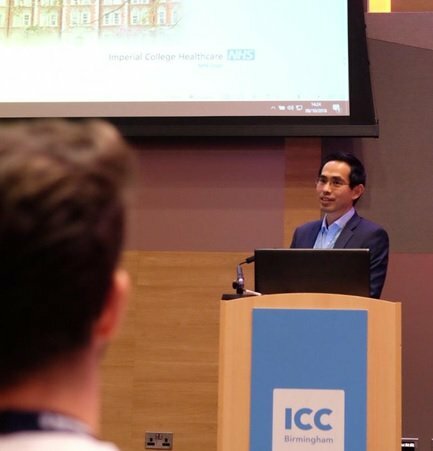 Dr Boon Lim was invited to lecture in the largest meeting of Heart Rhythm Specialist in the UK where he presented on several topics to both patients and physicians and other health care professionals. He spoke on a variety of subjects including management strategies for POTS, ectopic beats, diagnosis and management of syncope and chaired several sessions.